Let’s take a moment to laugh, shall we? We probably have all heard that laughter is the best medicine, and we personally believe it true. While it doesn’t have the potency of chemotherapy or radiation, it eases the body. Humor makes daily challenges easier, lighter, and more manageable for our mind, physical being, and spirit. Laughter plays a big role in everyone’s life, but specifically for mentee Gigi and mentor Erin. When Gigi was 3 years old, her mommy was diagnosed with stage IV Breast Cancer. Lucy, Gigi’s mom, battled Cancer for 9 years until her passing on March 16, 2012. 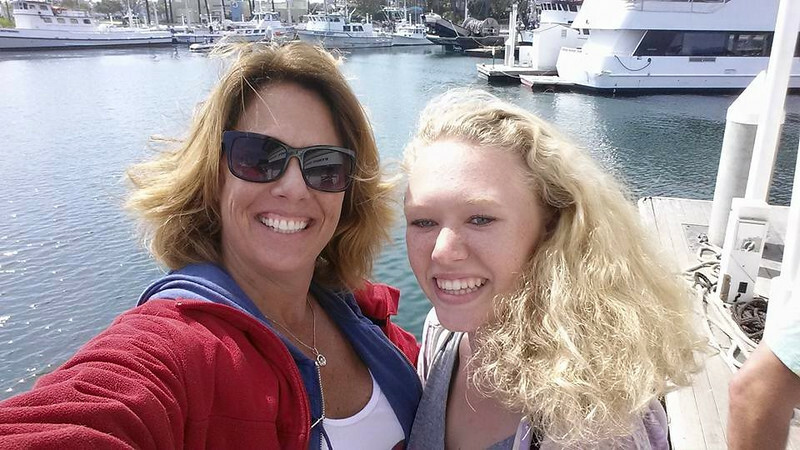 When asked about her daughter Gigi, Lucy said, “My daughter is absolutely fabulous and makes me laugh every day. We all manage to laugh or giggle everyday and appreciate all that we have”. Erin was matched with Gigi on March 9th 2014. Erin was diagnosed with the same cancer that Gigi’s mom had. We are so grateful that Erin is now a survivor. These two are healing through their flourishing friendship. Yogis breathe through stretches. Runners listen to music when hitting the pavement. Laughter gets everyone through both hard and happy times, and this is backed by both personal and scientific research. So take a second each day to breathe, groove to some tunes, and laugh.